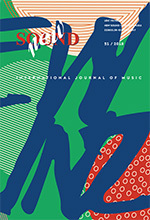 New Sound International Journal	of Music is a peer reviewed academic periodical. It promotes musical creativity and theoretical concepts about music – musicological, ethnomusicological, analytical, phylosofical, aesthetical, etc. 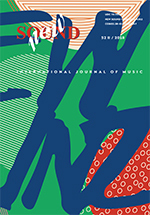 While presenting Serbian contemporary and traditional music worldwide, New Sound also deals with provocative issues on music and scientific problems concerning music in other countries as well. It focuses on composers' poetic, newly done compositions, various research problems, etc. from the aspect of analysis and contextual musicological interpretation. The journal also contains a survey of international festivals of new music, book and CD reviews and reviews of defended MA and PhD theses.